In two years, reckons John Carmack. Mobile phones will in two years be more powerful than the current generation of consoles, programming legend John Carmack has said. 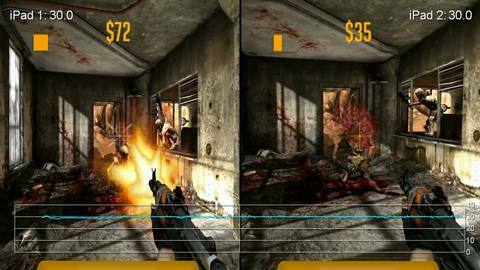 But, as of now, the power of mobile tech is "exaggerated", the id Software co-founder told IndustryGamers. "People have exaggerated the relative powers - the iPad2 is not more powerful than the 360. It's still a factor of a couple weaker. "But the fact that it's gotten that close that fast - that means that almost certainly, two years from now, there will be mobile devices more powerful than what we're doing all these fabulous games on right now." At E3 last month Carmack, who is applying the finishing touches to upcoming first-person shooter Rage, told Eurogamer mobile phones may eventually be powerful enough to act as home consoles. "People's telephones could be their home console, and it just beams over to the TV set when they're there and they want that experience," he said. "Do we want these separate walled gardens: here's what we've got on our PC, here's what we've got on our console, here's what we've got on our mobile phone? "There's at least an argument that you wind up carrying around enough processing power with you to satisfy all of those and you dock them into different things."